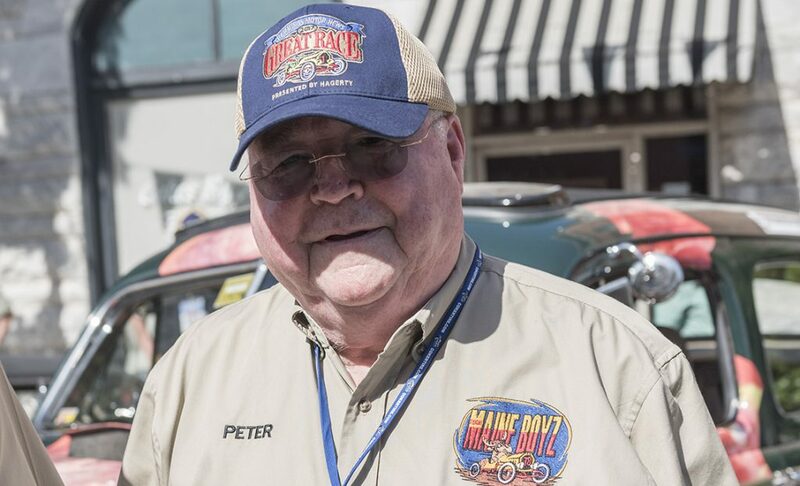 The Great Race was spotlighted during last weekend’s Northeast Motorsports Expo in Augusta, Maine, thanks to Great Racer Peter Prescott, Maine Boyz Racing and the company EJP. 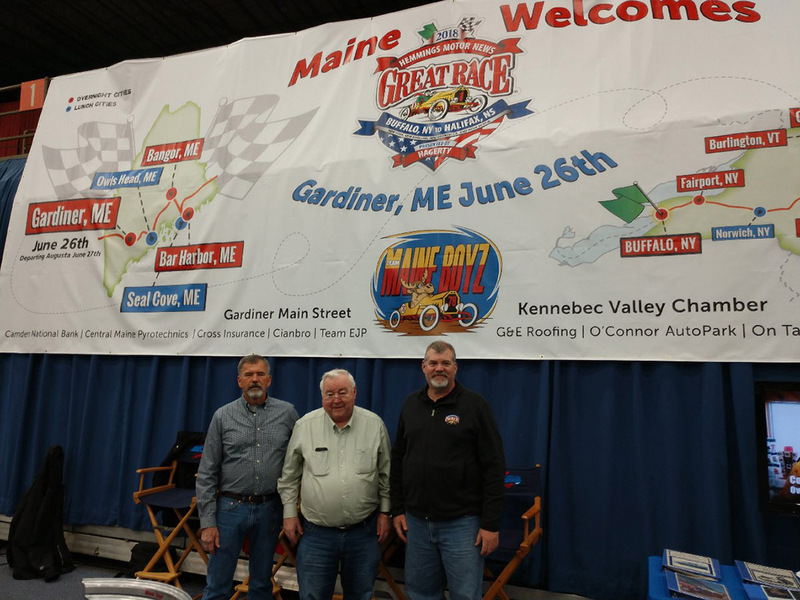 Great Race director Jeff Stumb was a guest at the Expo, which featured not only the June 26 overnight stop in Gardiner, Maine, but the other four Maine lunch and overnight stops as well. 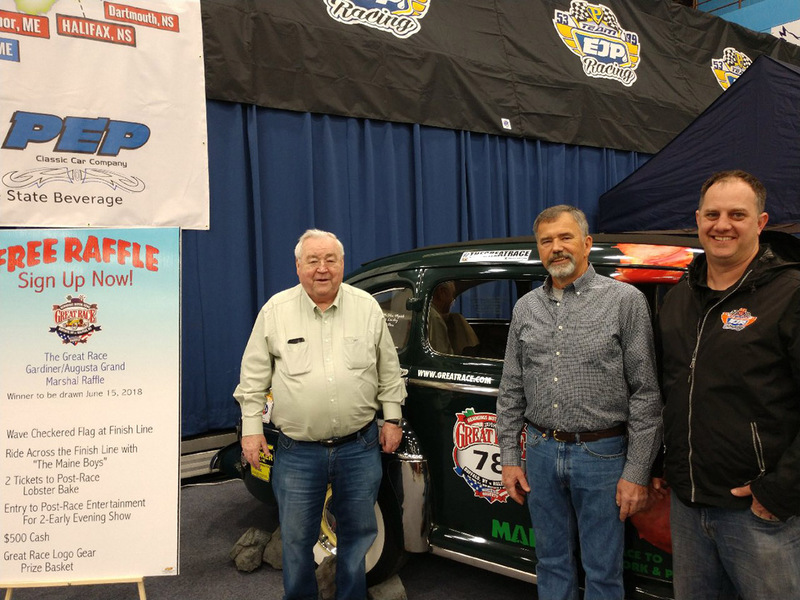 The EJP Racing booth featured Prescott’s 1948 Ford which has run in four previous races, a TV running continuous loops of past events and a 10 foot by 30 foot banner promoting all of the state’s stops in June. 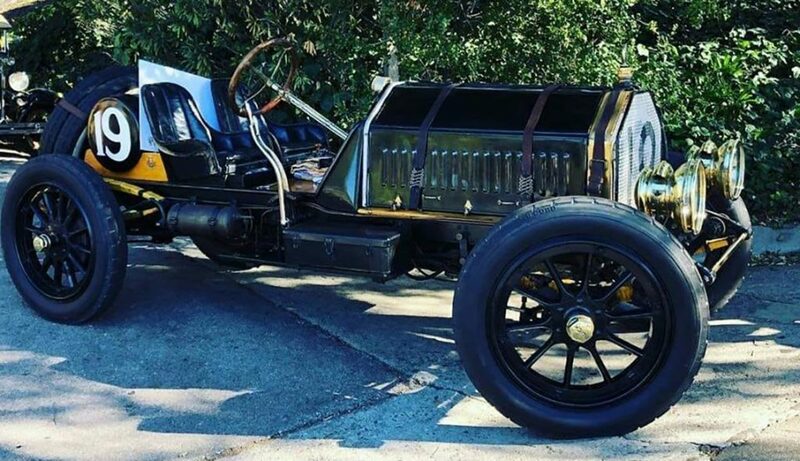 In addition to Prescott, other Great Racers present were Ed Chapman and Guy McDoor as well as 2018 Rookie Charles Harris, who plans to compete with his father John in an original 1935 Packard. 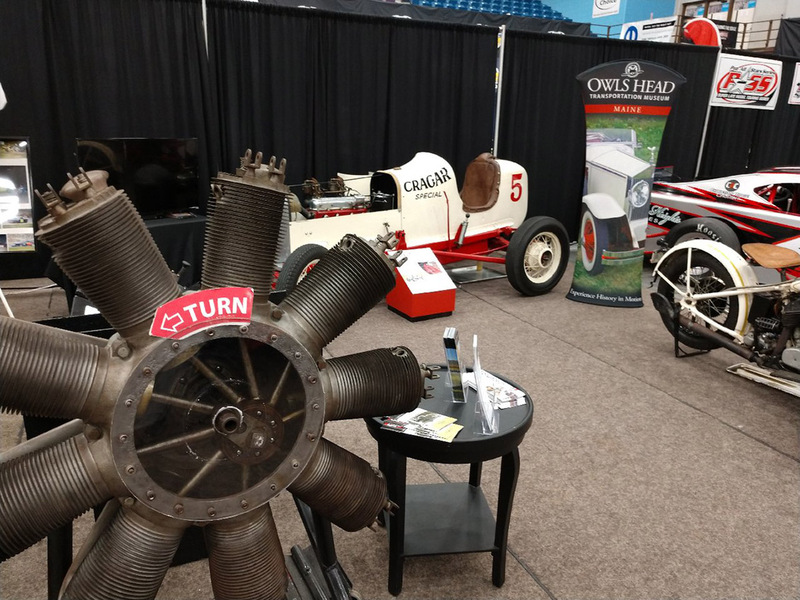 And the Owls Head Transportation Museum, which will host the Great Race lunch stop on Wednesday, June 27, also had a booth at the Expo. 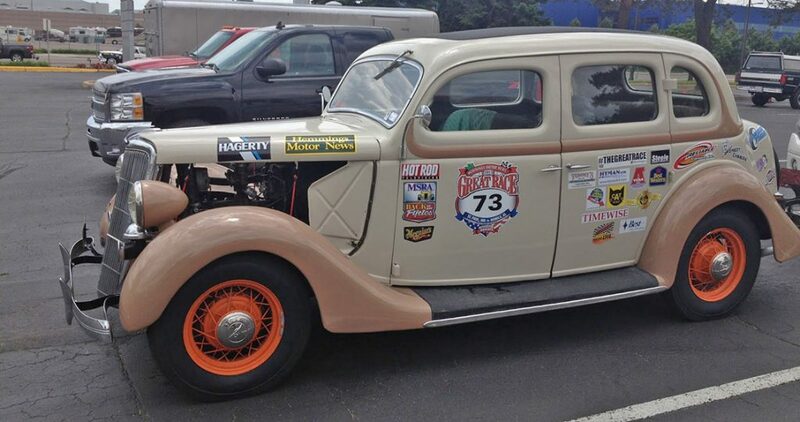 The museum will have a Rookie team in the race this year as well, running a 1935 Ford Phaeton. During the lunch stop at Owls Head the museum will be flying vintage airplanes overhead from their airport while the racers eat lunch. Gardiner is the first overnight stop in Maine and the community has gone all out, including a contest which will provide the winner $500 in cash, the opportunity to wave the checkered flag at the finish line in Gardiner and dinner for two with the racers. And the dinner that evening will be a good old fashioned Maine lobster bake and the governor of the state had committed to be there to greet teams. 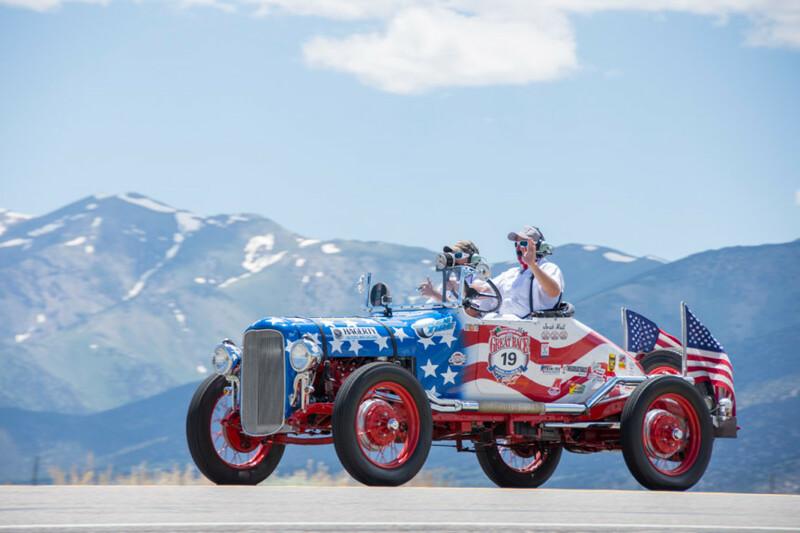 During the afternoon before the cars arrive at the finish line, support crews will be treated to a tour of Prescott’s private car collection and shop, which features one example of every flathead Ford convertible ever made. The collection and shop will also be open later in the evening for racers who want to enjoy it. The night will conclude with a fireworks show over the river in downtown Gardiner. The other Maine stops are Bangor on Wednesday evening, June 27; Seal Cove Automobile Museum for lunch on Thursday, June 28; and the overnight stop in Bar Harbor on Thursday night, June 28. I am currently Retired and would information for the next race. I am interested in partcipating and I current haVe a 2016 Jeep . Please provide any information you can. Thank You and happy motoring.